DCTI is no typical school. We recognize the need that all humans have for fellowship, community, and purpose. This discipleship program is designed with those needs in mind to create a foundational year of learning, growth, discipleship, and experiences that will fortify students for life. The year-long institute will include a wide variety of foundational topics, such as: Biblical and Historical Studies, Worldview and Apologetics, Creation Science, Communication, Outreach and Evangelism. Please see Schedule & Study Topics for more details. These field trips are designed to take the classroom on the road so that students can learn and experience these places first hand. Museums all over the world teach the perspective that fossils or rocks are millions of years old. Our field trips are designed to give a different view than you will see at most of the signposts. We will show the young earth perspective and show evidences that are ignored or go unnoticed from an evolutionary worldview. 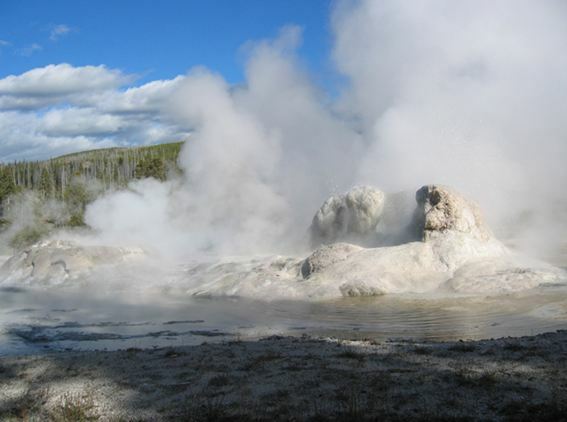 Sites include the Grand Canyon, Yellowstone, Arches, Canyonlands, Mount St. Helens, and many more! See Field Trips page for more details! Discover Creation… Worship the Creator! This experience will focus on outdoor skills, personal challenge, group dynamics, and leadership skills. Students will experience the beauty and ruggedness of the natural environment. They will be encouraged to confront fears, explore new ways of meeting challenges, and reflect on their experiences in a personal journal. Students will be encouraged to continue to develop what they have learned from this trip throughout the year. Through real-life Creation ministry projects, students will gain valuable experiences and have something tangible to take with them when they leave DCTI. It is our goal that students don’t just learn information, but be equipped to apply what they have learned. We aspire to help students connect to future ministry opportunities and to keep in touch after their year at DCTI. We want to equip students to multiply God’s work in this lost world. Projects may include creating videos; writing blogs, articles, or even a book; making multimedia creation presentations; teaching a seminar or VBS program; or creating evangelistic resources. The focus is on being creative and using individual skills for God’s glory. Students will participate in varied ministry outreach opportunities. Given the location and the emphasis of DCTI, students will be actively involved in reaching out to Colorado Mesa University students. DCTI staff will work closely with our students to create forums, Bible studies, events, and evangelistic opportunities. This combined field study/ministry outreach will be an unforgettable experience. 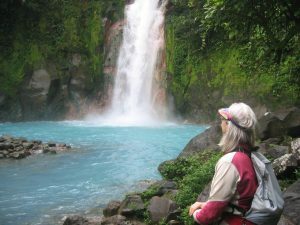 It includes a broad introduction to the diverse ecosystems of Costa Rica, including live volcanoes, tropical rainforests, biological design, ecology, archaeology, and more. An important emphasis in this experience is the cross-cultural ministry that takes us even to the remote areas of the region. After learning in the classroom and on field trips, students will then use their experience, their projects, and their knowledge to be actively involved in practical ministry opportunities during part of the summer. Students will gain experience in communicating, preparing, planning and facilitating ministry activities. Different opportunities to participate in creation ministry outreaches may include facilitating Vacation Bible Schools, serving as counselors and teachers at summer camps (family and/or youth camps), participating in AOI functions or joining potential cross-cultural outreaches. Actually, we don’t just want students. We want disciples, seeking Christ. Seeking to make a difference. Seeking Truth from God’s word. Seeking to make an impact for His Glory. Seeking community. Seeking a foundation and purpose for life. Seeking to make disciples. Seeking to give real answers to a dark world. Come and Learn God’s plan from His creation in Genesis to God’s ultimate purpose in Revelation. Come and learn how all aspects of science confirm the truth of the Bible. Come and learn and experience God’s creation through eye-opening adventures, field trips and excursions. Come and learn and be challenged to give an answer for your faith. Come and learn and do creation ministry. Come and learn and grow in relationship with God and in relationship with others building real community. Come and learn and go out into all the world and make disciples.